Maintaining and cleaning tiles and grout can be messy, time consuming work – time you don’t have. This task sits on your home improvement’s to do list for months – sometimes years – and never seems to get done. But polished and colorful ceramic tiles, and clean grout borders, can make your home sparkle like new. Rancho Cucamonga Carpet Cleaning can get the job done for you, without having to deal with all the hassle and mess of doing it yourself. You need to periodically clean and maintain your ceramic tiles for them to look their best. However, when floor, wall, or counter top tiles demand professional attention, trust us to provide you with the best service in town, bar none. You can rely on us to get your tiles and grout looking brand new. 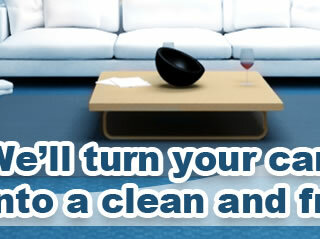 Rancho Cucamonga Carpet Cleaning will restore your grouts and get tiles to their original, sparkling beauty. 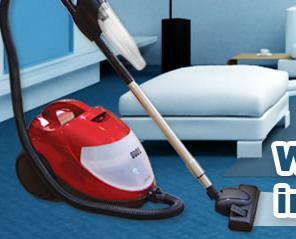 We will come to your home or office and get the job done, quickly and professionally. Your tiles will once again be restored to their exquisitely colorful and decorative state – it’ll be almost like a whole new room! Regular cleanings are all you can do to keep your tile looking as new as possible – without them, mold and mildew will grow, not only providing unsightly discolorations, but also presenting potential health risks. There are things you can do to help prevent this, though, in between recommended yearly sealing appointments with a professional like Rancho Cucamonga Carpet Cleaning. Getting a stiff scrubbing brush is a good start – after letting the tile soak in some commercial, all purpose grout cleaner for a few minutes, an application of elbow grease can help fix some of those grout problems. Bleach will help disinfect your tile, too, preventing the spread of bacteria. When dealing with your grout and tile, you don’t want to trust them to just anyone – pick the company with a proven track record of success. We know you have a lot of choices when you look for a professional cleaning service, but you can search far and wide, and you won’t find a company that can match Rancho Cucamonga Carpet Cleaning combination of value and quality. We’ll guarantee your friends will be amazed when they see your tile – they’ll think it was brand new! Our expert cleaners take the utmost care with your grout and tile, restoring it to pristine condition, and protecting it against future mold and mildew damage. So what are you waiting for? We’re standing by, waiting to help you with all your tile cleaning needs. If you’re tired of dealing with greasy grout or tainted tile, give Rancho Cucamonga Carpet Cleaning a call today. You’ll never regret it when you trust your tile to our experts – we’ll have it looking like new in no time at all.